Is it your attention to detail or are you simply control-obsessed? Or could you be being micromanaged without knowing it or not doing something about it? Extreme attention to small details is how we would best describe micromanaging. In practice, it simply refers to a manager who closely observes and controls the work of all his employees. Actually, micromanagers have quite positive attributes—like the mentioned attention to detail and a hands-on attitude. The only problem is that they are taking it to the extreme, and by doing so, disempowering their colleagues. Instead of simply supervising larger concerns while giving general instructions on smaller tasks, micromanagers guide every single step of the way, not letting anyone make a decision without consulting them. 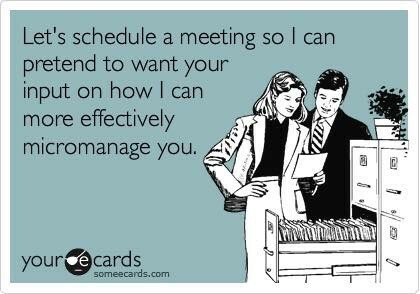 Apparently, delegating is the word micromanagers hate the most! On top of that, this type of manager is notorious for demanding unnecessary and overly detailed reports. There is a word for it now: reportomania! Creation of this type of performance feedback is actually wasting valuable time while overshadowing what is really important—quality and final results. The restriction of the information flow between team members is yet another consequence of micromanagement. However, not many micromanagers view themselves as such. They prefer to describe themselves as well-organized and well-structured. In rare cases, they would go as far as using the word “perfectionist” (as it may carry a vaguely negative connotation). 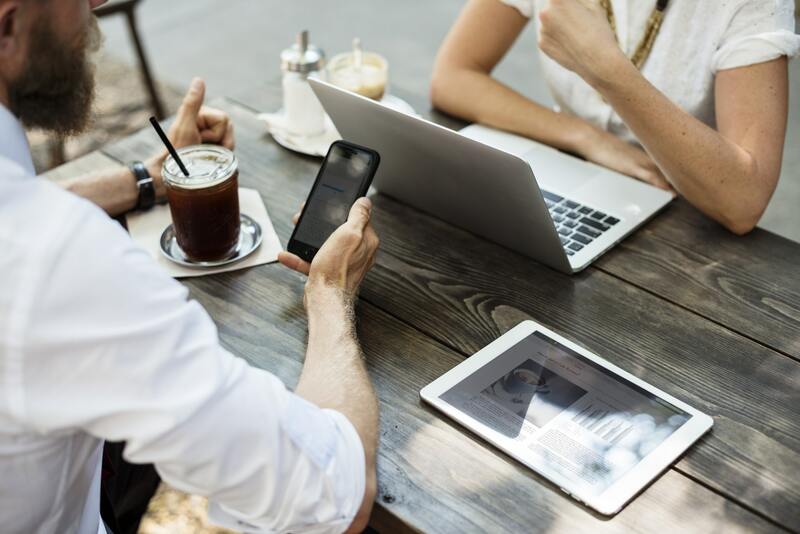 As for the employees, unfortunately, it is very easy for them to recognize a micromanager in their proximity—the control he tends to have over them is overwhelming and frustrating. This excessive obsession with details not only affects employees; it can actually cause direct management failure. This happens due to a lack of focus on the more important details. And if we dig just a bit deeper, we can even find the root of micromanaging: it can easily be a discomfort with a current situation, person or project. This problem (and IT IS a problem, no matter how much a micromanager is trying to deny it) won’t simply go away. When it appears, it spreads quickly and thoroughly. In a recent Accountemps survey, almost 60 percent of employees polled said they have firsthand experience with a high-handed boss. A total of 68 percent said this encounter has decreased their morale and 55 percent said it hurt their productivity. The survey was developed by Accountemps, the world’s first and largest specialized staffing service for temporary accounting, finance, and bookkeeping professionals. When a person is being held back in their professional development, it also limits what the micromanager’s team can achieve. So why do people micromanage? First of all, it is important to know that nobody (in their right mind) is doing it consciously. Really, nobody wakes up and goes to work determined to be overbearing, controlling, or nitpicky. Even your boss is only human. And we all have our fears, flaws, and frailties woven within our personality. This is why it is so important to communicate and share all our doubts with people we spend 40 hours every week with (possibly even more). As we repeat in blog after blog, the key to every success lies in people, and the key to teamwork lies in communicating. • Start by correcting tiny details instead of looking at the big picture. • Discourage others from making decisions without consulting them. • Take great pride in making corrections. • Insist on being cc’d on emails. All of them. • Never really listen to what an employee has to say. If you are the boss, and if you recognized yourself in any of these characteristics, you must be wondering now how to manage employees closely enough and not be declared a micromanager. We understand that your job is to avoid the risk of having the project or task run off-course. This is why we broke down in a few points some of the most effective advice on how to follow up on your project team without micromanaging. We’ll start with an easy and very constructive one. Do stand-ups. And no, we don’t mean go-out-on-a-stage-and-make-jokes kind of stand-ups. We were thinking more of a stand-up meeting as a way of touching base with your team on a regular basis without micromanaging. The secret is in the specific rules about standups and their time limit (attendees typically participate while standing, thus the name). Being short, this type of day-to-day meetings teaches both you and your team to simply state what’s needed and get back to work. Is there anything stopping you in the progress of your task? And, trust us, the answer to these questions are all you need to know and it is usually enough. You should be able to get most of the information you need from your team at these standups. The next thing is probably the hardest for you, but it needs to be done. You need to let them go and do their job after the meeting. You simply must. Just remember that every time you interrupt them to ask more and more questions, you doing nothing but slowing down their progress. • A good manager gets involved in ensuring that employees are clear on the desired outcomes. 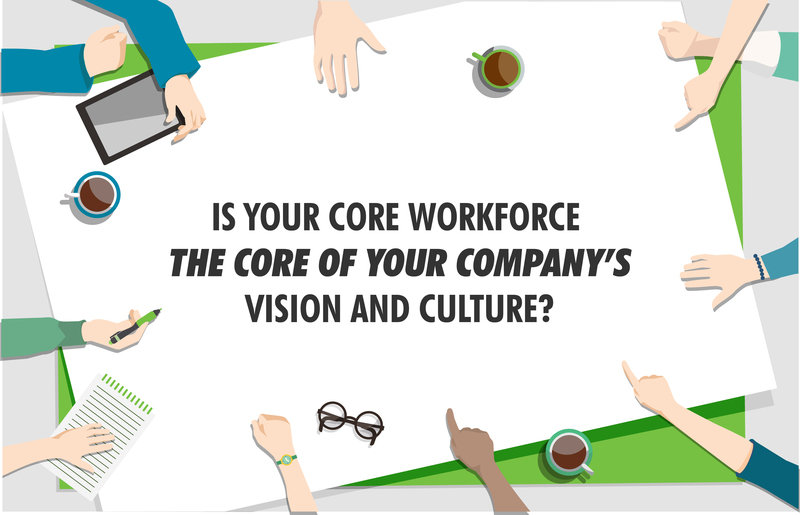 • They regularly check in on progress so that employees can make needed adjustments before it’s too late. • They debrief with staff to foster accountability. This is especially important when you have an employee who isn’t moving his part of the work forward. The red flag should raise when his results are disappointing and the stakes are high. This is the time when just a bit of micromanaging is not such a bad idea. After all, your job is to make sure that you’re getting the results you need. And when you’re not getting them, feel free to step in and get more involved. In every other case, keep your hands off someone else’s task. • Set a goal and as vividly as you can indicate what a success will look like for each and every member of the team. This is how you will motivate them to engage as the destination looks promising. So, write down: Motivation. • Guide more, and do less. This is what you are paid to do. Do not waste company time and money on doing things you were not hired for. Rather than monitoring so closely and re-doing someone else’s work, clearly communicate your expectations and gather the entire team on the same page. • Check in regularly. Do one-on-one recapitulations of what has been done with each of your team members. Analyze their work together and keep them focused on the results. Always give feedback, and set the priorities together. This will help them pursue their goals swimmingly and with an appropriate amount of autonomy. • When you notice that a team member is slowing down and not giving the expected results, take on concerns forthrightly. Talk to him about it and determine if it is just a phase, a poorly understood role, or if that person simply does not fit the given role. • Acknowledge that there are different ways of doing things and yours is not always the best one. Be open to new or simply a various number of methods. Acknowledge diverse types of problem-solving and give people what is rightfully theirs: autonomy. • Check in regularly with yourself to see if you’re that annoying colleague who wants to control everything. Besides these steps, you need to be able to recognize and understand a crucial thing: the difference between a simply good manager and the micromanager. Just remember these simple definitions. If necessary, print them out and put them on your desk as you really need to know where you should stand. A good manager communicates while a micromanager dictates how to do a task. A good manager gives feedback and, when work isn’t quite right, asks that it be redone differently while a micromanager redoes work themselves. A good manager sets major milestones and benchmarks and checks in on those as they near while a micromanager constantly checks up on work that a staff member has shown in the past they do well. 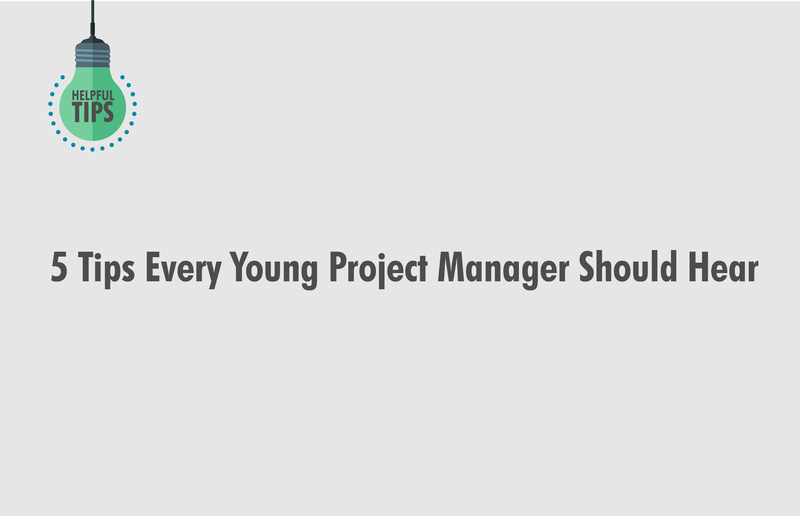 A good manager asks to see a sample of the whole, while a micromanager asks to see all documentation, all emails and every other thing that might exist and is connected to the project. 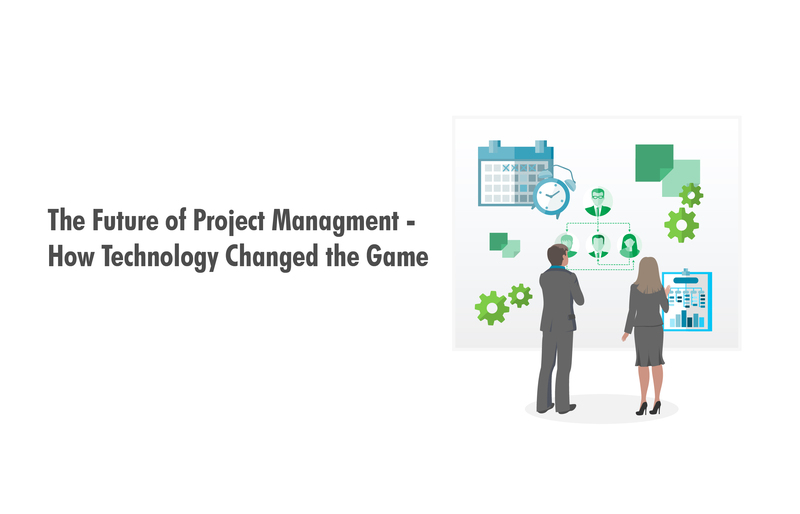 A good manager adjusts their approach to fit the context (high-importance projects are looked on more closely) while a micromanager manages low-importance projects as closely as the high-importance ones. A good manager disposes of the weight of a responsibility rightfully and accordingly while a micromanager never allows any staff member to take full ownership of a piece of work. And here is a bonus: another piece of advice and an opportunity for you to experiment and thus grow professionally and personally. 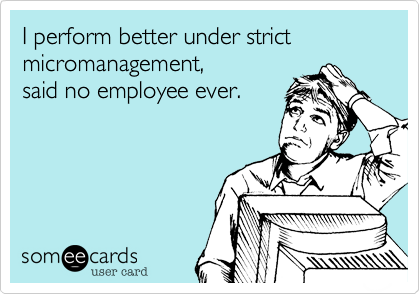 This rule tickles the most sensitive place in every micromanager’s mind. The majority of micromanagers are victims of their perfectionism; nobody is as good as they are, so this is a true test of their will. If they can accept 95 percent of perfect performance, 95 percent of the time, they will micromanage 95 percent less! In the end, we must be honest and fair. It’s not like all micromanagers are the same and their motivation to do so comes from the same place. There are many different reasons why people fall into this trap. Some simply lack experience; new leaders may not have had time to learn what and how to manage, so they get too involved. Other examples are so-called seasoned leaders who just don’t know how to delegate, and that is the reason why they do not let it go. Some do not have reliable data, and others are trying to manage poor performers. The list goes on and on. That is why it is so important to be honest, flexible, and to think outside the box. Don’t be a slave to your own prejudices, no matter if you are a micromanager or micromanaged. People are people so why should it be, you and I should get along so awfully, as Depeche Mode would say. There is a simple solution to the troubles of both sides: Use Teodesk. It is the only micromanager in the whole wide world that does not annoy or frustrate its colleagues.